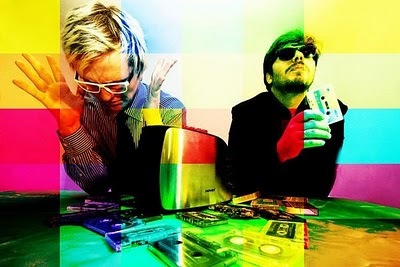 Russian synthpop duo The Tapeaters began formed in 2009 when Vadim Pukhov (vox, synths, guitars) and Dimitri Kozlow (synths, talkbox), after years of participating in various projects, decided to try to write a couple of songs together. Influenced by “the sound of the early 80s, this period of electrofunk and disco, when synthesizers took over the minds of musicians”, their sound mixes airy vocals, soft sound of a vintage Moog synthesizer, dance beats and a welcome dash of pop, sending listeners to the golden heyday of electronic music. Here’s their remix of Sydney-based 1980s new wave pop band Machinations.